The mission of SHURPAC is to be the premier coatings applicator in the Midwest by providing the highest value, quality, and on-time delivery through investing in the latest equipment, training and innovations in the industry. This mission will be accomplished via our core values. 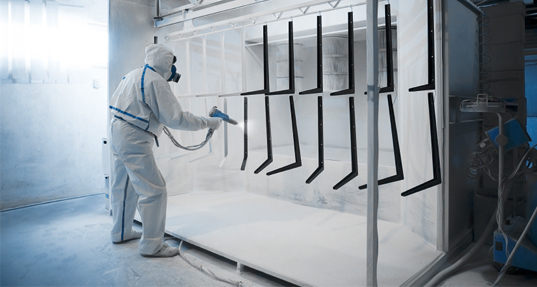 SHURPAC provides Industrial Painting, Powder Coating, Packaging, and Crating services throughout the globe. As a third generation company, SHURPAC strives for excellence, dependability, and state of the art techniques in every area of their business. Learn more about our services and what we create. thank you for visiting our site. we appreciate your feedback and would like to hear from you. please contact us with questions, comments or concerns. Shurpac Inc. operates in compliance with ISO 9001:2015 quality standards. Learn more about what this means for you.